Cletus Frade is an agent with the OSS. The precursor to the modern CIA, the Office of Strategic Services is the organization ordered by Franklin Roosevelt in the days before the Second World War and created by William "Wild Bill" Donovan. Pulled from all areas and fields, though largely military, the OSS was not directly answerable to any one branch of the military and as such could and often did go its own ways. Its goals, though, were essentially the same as the armed forces intelligence services: fight the enemies of the country. Where the military usually had battle lines drawn, the OSS went deep into enemy territory to spy, subjorn insurrection, sabotage, and disrupt the infrastructure of the other side. While the largest attention was paid to Europe and the Pacific where Germany, Italy, and Japan were located, there were other hot spots around the world that the Axis was touching and trying to bring under its control. South America was one such area, a huge landmass filled with resources desperately needed for the war effort and close enough to the United States to be a future staging point. But without limitless abilities, the U.S. and its Allies could not give it the attention it undoubtedly deserved. Which is how a young, 22-year-old Marine First Lieutenant named Cletus Frade, Clete to his friends, came to be one of a very small handful of agents plucked from the war effort and moved to Argentina. Frade was a New Orleans boy for as long as he could remember, raised by his Uncle Jim. 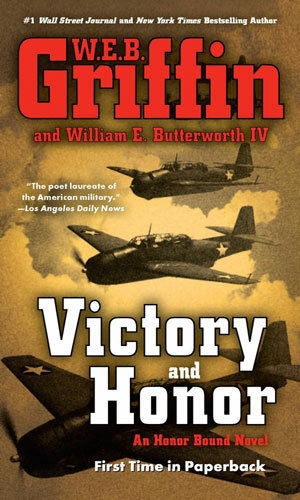 When the War started, he volunteered and was quickly a member of the small but growing Marine Air Group. He was young but he was good and before he was pulled from combat flying off a carrier near Guadalcanal, he had shot down over a dozen enemy planes and earned two Distinguished Flying Cross citations. He would have been happy to continue flying missions and risking his life in the air but Fate, and Wild Bill Donovan, had other plans. The new job that would change his life came when he was pulled back to the States, ostensibly to be part of a War Bond Heroes tour but really to meet and be judged by a Colonel Graham for a mission to the flip side of the Western Hemisphere, Argentina and an ever growing series of missions meant to keep that region out of the hands of the enemy. Frade would not be alone in this job but he would definitely be the leader of the action. In October 1942, a US Marine named Cletus Frade is one of those chosen to help the OSS in stopping Argentine resupplying of German ships and subs. He learns he was chosen because of his skills and the fact that a key Argentinean in the area is also his father. April 1943 finds the Germans planning a coup in Argentina to help their war efforts. Cletus Frade and his two colleagues must stop them. 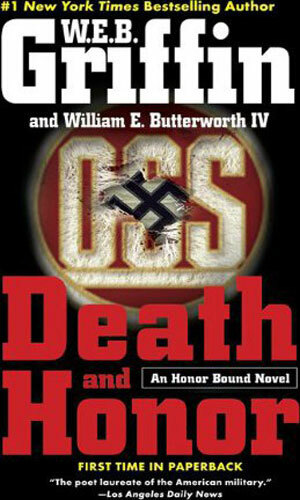 In 1943 with a general in Germany plotting Hitler's death and his son in Buenos Aires falling in trouble with the SS, Cletus Frade finds himself stuck in the middle and suspected by his own group of playing too many sides. In the summer of 1943 as many on the German Staff begin to doubt the chance of victory, word comes of extortions of Jews to buy their captive relatives' freedoms to pay for Operation Phoenix, starting new lives in Argentina. Cletus Frade is told to investigate one end of the pipeline. A German officer is a POW in Mississippi. His parents are in Argentina helping establish post-war safety nets for the High Command. Cletus Frade is told to break the officer out to turn him to get info about his parents and their operation. In May 1945, the war with Germany has ended but a new set of battles are just starting. Cletus Frade is finding being on the winning side is difficult as well as politicians and the military fight for power and the Soviets are hungry for their share as well. In the fall of '45 with the war over, Cletus Frade is asked to help smuggle out of Germany to Argentina a handful of German intelligence officers using vital information on Soviet activity as a bargaining chip. 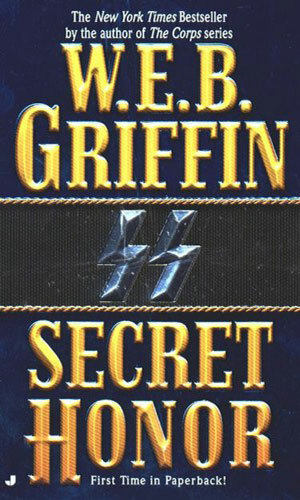 Suggestion to readers everywhere - when you want to read a history book on World War II that is never dry, never boring, never filled with uninteresting facts, all you have to do is pick up a Griffin novel about that time. It is certain to be packed with fascinating characters, often nerve-wracking suspence, action and mayhem galore, and so much history you feel you are there, just a lot safer. 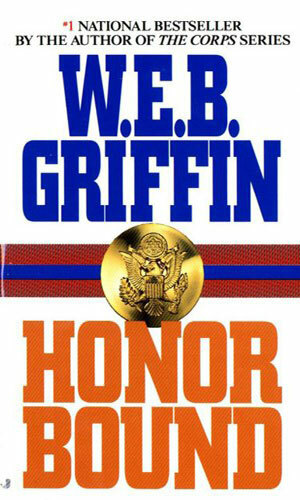 I am a big W.E.B.Griffin fan. 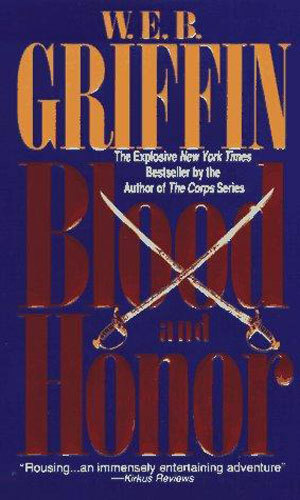 I have all his books and have been reading him for a couple of decades, not just his spy novels but also many of his other series, especially the Badge of Honor series. 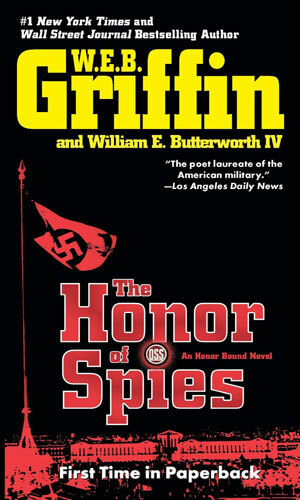 I really enjoy him a lot and the fact that he has given us such a great look back into the world of espionage in a part of the world we do not think about that much when we consider WWII is a huge plus for me. In this series, Clete Frade is the main character without a doubt but there are so many others that you meet, get to know, sometimes lose and other times breath a huge sigh of relief about. The books are never boring. 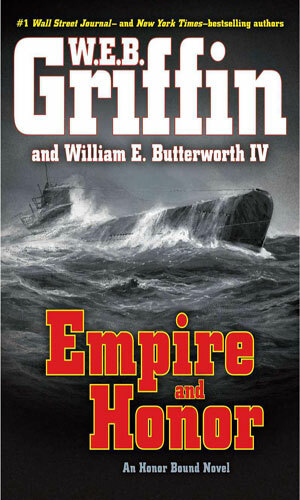 Long, of course, like all Griffin novels, but never boring.